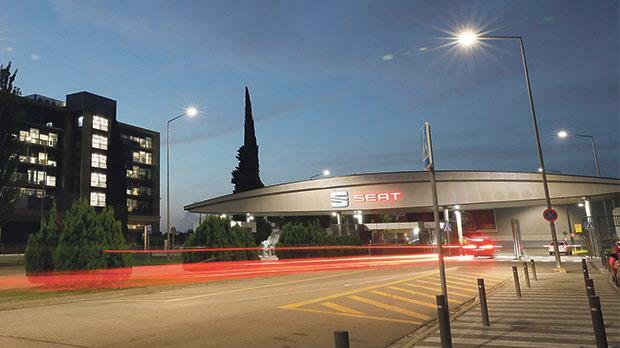 Seat is partnering with Philips Lighting to light up its Martorell plant in the most eco-friendly manner. Both companies have signed an agreement to replace all the exterior light sources of the Martorell facilities with connected LED lighting, which is more efficient and sustainable, enabling the company to save 80 per cent on energy consumption, amounting to over 900 MWh per year. This action is in line with Seat’s environmental strategy, called Ecomotive Factory, aimed at having a manufacturing plant that is efficient, sustainable and eco-friendly. The project includes replacing the current light fixtures found on the factory’s internal roadways and perimeter parking lots with LED cluster lights, which consume around 80 per cent less electricity than conventional light bulbs and have a longer service life of around 45,000 hours, which amounts to five times longer than conventional bulbs. When implemented, more than 1,200 fixtures will get replaced with a more environmentally efficient system. As explained by Joan Carles Casas, head of the Ecomotive Factory, “Seat’s goal is to achieve a 25 per cent reduction in the resource consumption per vehicle produced by the year 2018. “The partnership with Philips Lighting enables us to move towards a factory that is more efficient and sustainable,” he added. Seat has multiplied its sustainability projects in recent years, and its commitment extends to all aspects of the company, including research and development, production, logistics and sales, among others. The company was given the Lean & Green Management Award in 2015, recognising it as the most efficient factory in the European auto industry.